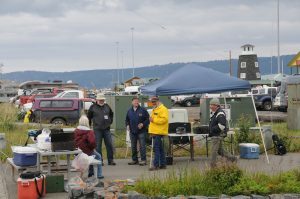 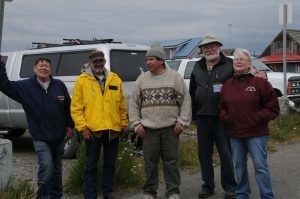 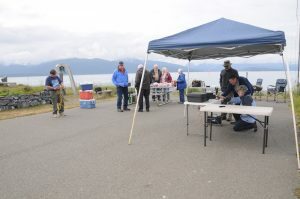 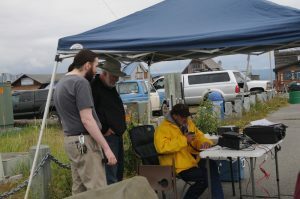 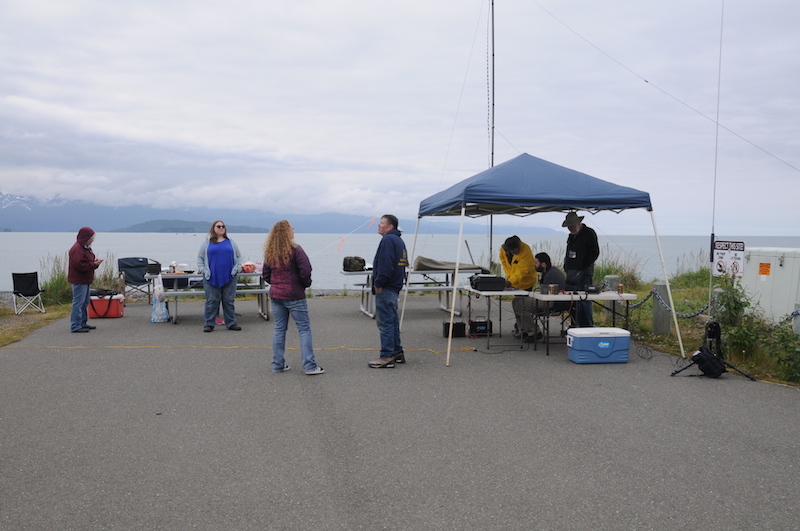 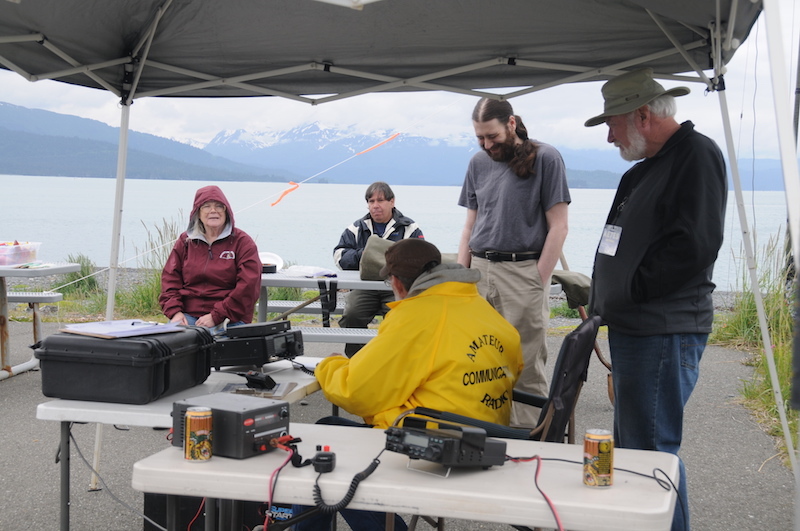 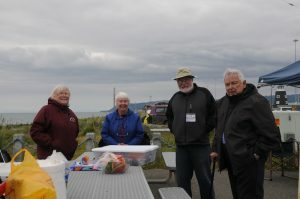 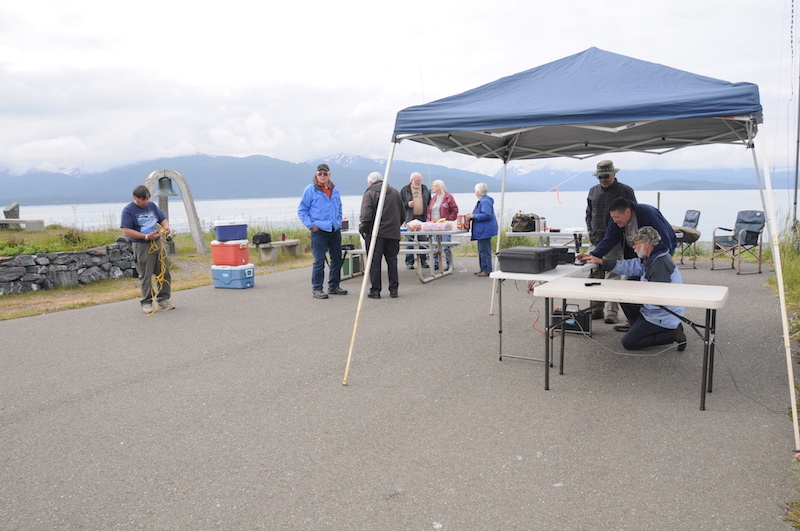 Field day 6/23/2018, Seafarers Memorial on the Homer Spit. 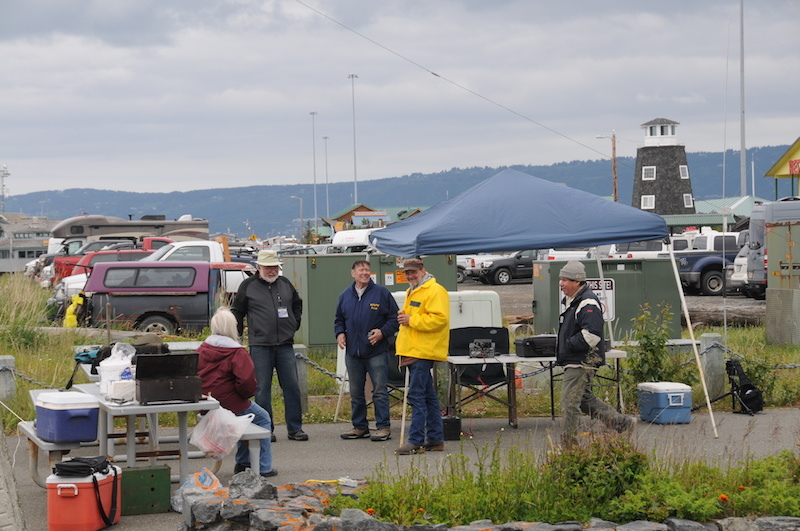 A nice day on the Homer Spit. Not to windy not to cold, good food and a great group of people to share with. 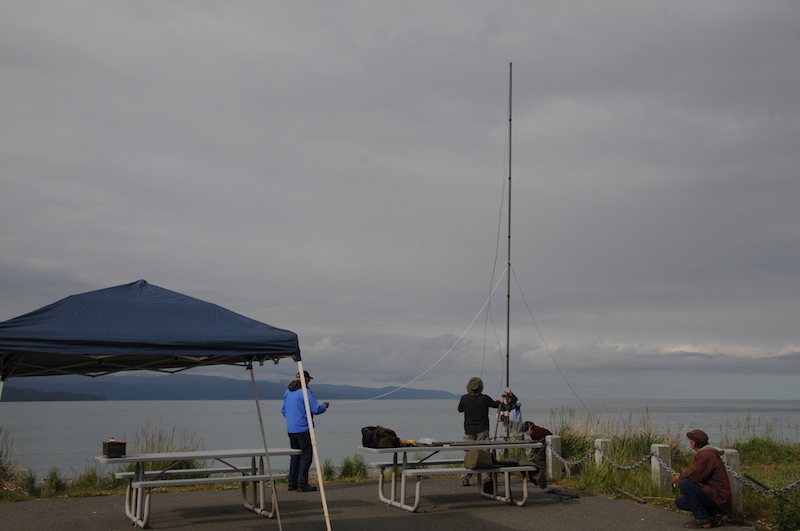 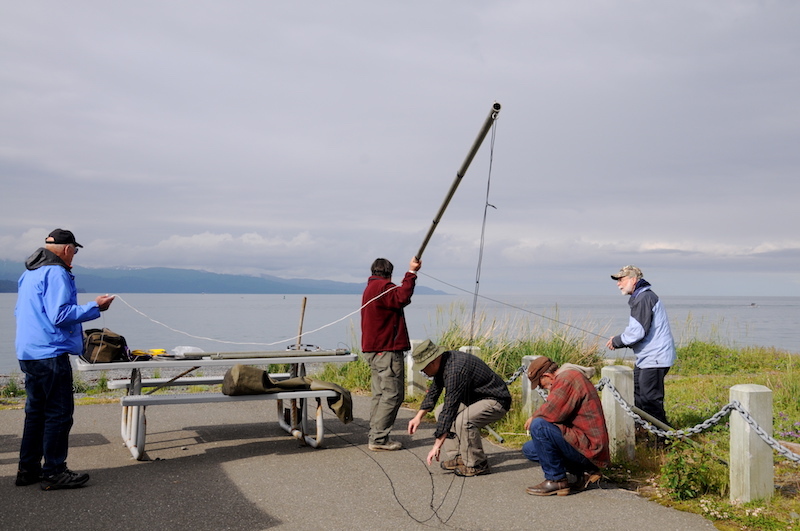 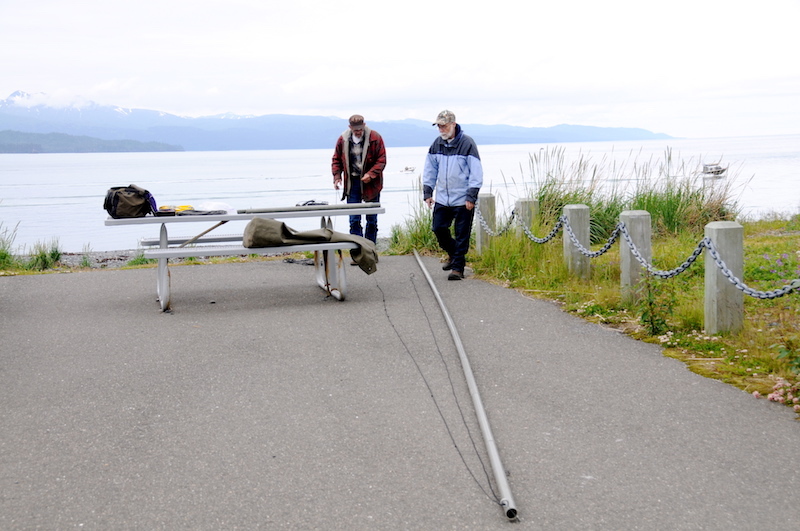 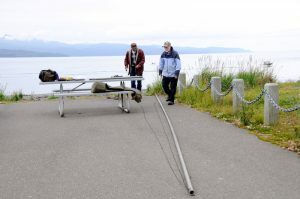 Getting the mast ready to stand up. 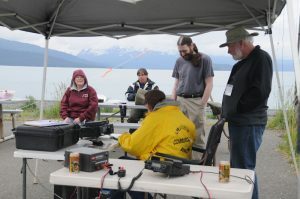 In spite of poor solar conditions everyone had a great time.